For some time, I’ve held the belief that if the aquarium trade didn’t invest in current, real-world data about the aquarium fisheries’ role on wild fish populations, sooner or later a beloved aquarium fish or coral would be listed under the Endangered Species Act (ESA). Many aquarists don’t realize that any conservation group can petition to have a species listed under the ESA. If the information they provide the National Marine Fisheries Service (NMFS), and a follow up investigation show that a listing is warranted, then it’s quite possible the species noted will be listed. Now my prediction has come true, and it concerns a popular and beloved marine aquarium fish, the Banggai cardinalfish. In 1994 Dr. Gerry Allen rediscovered the Banggai cardinal, and by 1995 the small fish was introduced to the marine aquarium community at MACNA, in Louisville, Kentucky. In 1996 Tropical Fish Hobbyist published an article on the newly rediscovered cardinal, lauding it as the perfect fish for marine aquariums. Banggai cardinals were a sensation, and from 2002-2004 nearly 2 million individual fish were traded into the U.S. and Europe annually for the marine aquarium trade. 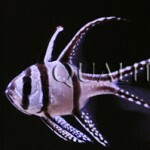 At one point in 2001, up to 118,000 Banggai cardinalfish were sold per month. One positive aspect of this explosion in popularity is that it led the species to be bred and raised in captivity, giving aquarists a source of aqua-cultured fish. Still, the Banggai cardinal became the 8th most imported marine fish in the aquarium trade. By 2013, conservation group Wild Earth Guardians petitioned the NMFS to list the species under the ESA. In February of 2014, the NMFS released a 90 day finding stating that Wild Earth had presented acceptable data to list the cardinalfish under the ESA. By August of 2014 the NMFS had published a 36 page report, detailing the best scientific evidence available at the time, proposing that the fish species be listed as threatened under ESA designation. Potential restrictions could prevent the ownership, trade, breeding, import and sale of an ESA designated species, meaning that at some point in the future, the NMFS could outlaw the ownership or sale of Banggai cardinalfish, including those bred in captivity. As of January 20, 2016 the final rule will be published, going into effect 30 days after. The findings: According to NMFS’ detailed report, the ornamental marine livestock industry has damaged populations of Banggaii cardinalfish since collection began around Banggaii island in 1995. By 2000 severe negative impacts from the export of Banggaii cardinalfish had been observed, and 235 surveyed scientists felt the fish was at risk of extinction due to overexploitation of the marine livestock industry. Eight sites were closely monitored to understand the degree of impact the marine livestock industry was having, and it was found that the group size of fish was severely damaged by collection, along with populations of sea urchins. 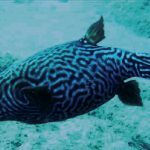 They also found that the marine livestock industry was damaging the fish’s native habitat, by disrupting coral reefs and killing off areas of reef for marine livestock collection. 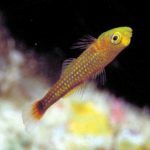 NMFS concluded that habitat destruction and overexploitation due to marine livestock collection had greatly reduced cardinalfish populations at monitored sites, which were capable of hosting sustainable collection for more than a decade. 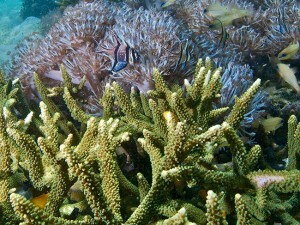 It was also found that a high mortality rate exists for collected cardinalfish. Most of the fish collected had damage to the eyes, scales and fins, which led to secondary infection and further increased mortality rates. The collected fish were kept in floating pens, and were often not fed. NMFS determined that there is a 50% mortality rate of all collected fish while kept in floating pens. An additional 30% of the fish die during export, and finally 15% are discarded by wholesalers due to condition upon arrival. This means that of all the fish collected, 95% are dead or discarded before they even reach U.S. retail stores, and are offered for sale to aquarists. The report also takes into the account the effects of global climate change, which greatly effect this species, as their populations are localized to one particular area of the ocean and it’s unlikely the species has the capacity to migrate to other reef systems. A failure in regulation: The report has found that Indonesia (where the cardinalfish is exported from) delegates management of livestock fisheries to regional governments. Without a centralized structure and sub-par legal framework, NMFS determined that regulatory authority in Indonesia has failed to protect the species from overexploitation. Implications for the livestock trade: Without a doubt, this is a serious black mark on the marine livestock trade. While it may be the fault of Indonesian failures in regulation that led to over-collection of Banggai cardinalfish, the United States’ aquarium trade continued the mass-import of this species, without taking the appropriate steps to measure the effect of removing 1.4 million plus individuals from an isolated area every two-years. 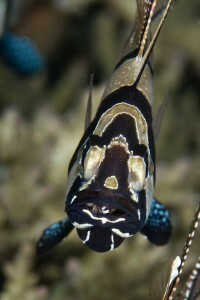 Whether America’s marine livestock trade participated in willful ignorance, or simply didn’t have the resources to gather the appropriate data is unknown, though what is known is that NMFS feels given the circumstance, the Banggai cardinalfish is threatened with extinction, largely due to the marine livestock trade. I imagine both Wild Earth and NMFS’ findings will raise further questions about the impact the aquarium trade has on wild fish and coral populations. This black mark is gathered along with several others awarded to the marine livestock trade in recent news. Another is the massive invasive population of lionfish throughout the Caribbean Sea and Atlantic Ocean, believed to have been caused in part by the release of aquarium fish into non-native waters. Also, the NMFS ruled to place 20 corals (22 total, as 2 species were previously listed as threatened) under threatened ESA status, in part due to collection by the marine livestock trade, but largely due to other factors. NMFS ruling will give a lot of credence to the host of conservation groups pushing for more marine species to be listed under the ESA, and likely enrage groups that want tighter restrictions on the marine aquarium hobby, or perhaps an outright ban. Restrictions proposed: As of yet, NMFS hasn’t proposed any restrictions on the collection, trade and ownership of Banggai cardinalfish, but under the ESA they will have the power to impose such restrictions under similar guidelines as to listing the species, including the ability to make it illegal to own the species, wild caught or aqua cultured. I wouldn’t personally be surprised if within a period of time, it becomes illegal in the U.S. to import, sell or keep Banggai cardinalfish if the trade’s practices don’t improve. 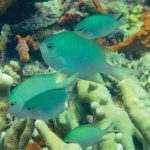 Private aquarists: It is more important than ever that private aquarists take an active role in making sure fish they procure are bought from vendors that sustainably provide marine life. If as consumers we don’t cease supporting unscrupulous vendors with our dollars, it’s unlikely the trade will rectify its current mentality, and many of the species we desire to keep may be listed under the ESA within the next few years. Considering that many marine aquarium fish are collected by either under-regulated or un-regulated fisheries, it’s without question that other species are in the same scenario as the Banggai cardinalfish, they just haven’t been studied by a conservation group or NMFS. Quite frankly the livestock trade, livestock vendors and marine aquarists are going to have to do better. As Bob Dylan said, “It doesn’t take a weather man to know which way the wind blows,” and it doesn’t take a marine scientist to know that collecting nearly 1 million fish annually, and allowing 95% of them to die before reaching an aquarist’s tank is not a sustainable approach, and in many ways is environmental genocide. 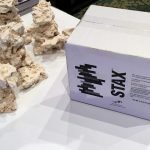 It is this type of data that has led to a sudden outpouring of frustration at both the marine aquarium industry and hobby, and after reading NMFS’ detailed report, that frustration may be fairly felt. Jeremy Gosnell has been an aquarist for nearly all of his life. While studying sociology in college, he began writing for Freshwater and Marine Aquarium Magazine, moving over to Fish Channel and Aquarium Fish International in 2005. In 2008 he began composing feature articles for Tropical Fish Hobbyist Magazine, and today serves as TFH's monthly saltwater Q&A writer, and is a member of the peer review content editorial board. After becoming a PADI certified dive master and specialty instructor, Jeremy trained with the Beautiful Oceans Academy as a science diver, specializing in coral reef biology, ecosystems and food chain hierarchies. He worked with Beautiful Oceans to promote scientific diving and underwater GPS coral reef mapping and bio-diversity studies for both scientific study and recreational dive charters. He holds various scuba related certifications including PADI master scuba diver, dive master, specialty instructor, DAN dive emergency specialist, marine wildlife injury specialist and several TECH REC technical certifications, including deep water diving, re-breather diving and cave diving. In his spare time Jeremy is a science fiction writer, and his debut novel Neptune's Garden was released in 2010. His second novel is being released later in 2015. Both books are oceanic in nature, exploring the existence of the mythical kingdom of Atlantis, from a scientific viewpoint. I have two that have been breeding for the past two years. Out of the 5 I found in the tank all lived to adult’ish. I fed them zoo plankton from seachem until they were big enough for brine shrimp. All mine accepted flake foods as well. The report doesn’t mention any of the areas where Bangaii cardinals have been introduced, are considered invasive, and are being collected and exported for the ornamental livestock industry, which is currently a large amount of those being imported. The ESA seeks to protect animals in their native habitat. NMFS is concerned with protecting wild Banggai cardinalfish in their native range. I think from NMFS perspective, the damage has already been done with overexploitation and high mortality rates for collected fish. 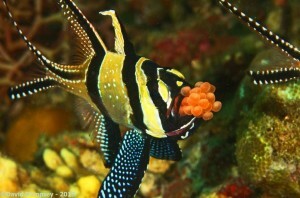 The introduction of Banggai cardinalfish to non-native waters is yet another strike against the hobby/industry. Not only was the Banggai cardinal overexploited for trade, but also poorly managed by collectors/aquarists/or whomever was responsible for it entering non-native waters. However the fact that both non-native and captive bred Banggai cardinalfish are available may be why the NMFS hasn’t proposed any regulation of the species as of yet.